Disclaimer: This post has not been written to advocate the negative use of psychological manipulation but to understand how a human mental phenomena is positively used by companies in the digital marketing ecosystem. What is FUD Psychology/Tactics (Fear, Uncertainty and Doubt)? FUD tactics are meant to scare the customer into buying a product or using a service and rely on the customer lacking information to make a decision on their own. Fear, Uncertainty and Doubt are key emotions that when triggered (together or separately) at the right time and place, can encourage visitors in the correct direction which will ultimately benefit both; the value seeker (them) and the value provider (you). It is true that positive emotions trump negative emotions. But marketing operates within the gray area of black and white which is why FUD can and is used to persuade readers/customers to question their assumptions/capabilities in order to help them learn more and perform better. FUD psychology was infamously used by the IT industry to out do each other by spreading false information about their competitor’s product. This resulted in increased customer retention, but as a result of psychological manipulation. However, in the digital marketing landscape that operates today, FUD tactics are looked upon favorably because they get results. The emotions of Fear, Uncertainty and Doubt are now not used for consumer exploitation or manipulation but to enable them reach their business or professional goals more quickly and efficiently. Why are FUD emotions used? The rationale of this concept lies in basic human psychology and how we behave everyday. The problem is not that we don’t understand it. The problem is how can we apply these basic human emotions to functions that do not have face-to-face human interaction. So, how does FUD positively affect target audiences? The ultimate and final benefit of all this – your readers associate an emotion with your website or blog which is that of ‘a positive feeling’, and for which they will definitely come back for more. It starts with ‘fear’. The fear of being left behind or missing out on an important advantage/edge if a particular action is not carried out. It can be an advantage pertaining to your business, job, skill-set and even personal safety. Readers subconsciously worry that if they do not read a particular post or don’t download an e-book then they might lose out on a report or insight which could have given them a competitive advantage. The genesis of all this uncertainty? Content. Specifically – a headline or a single sentence carefully placed near a critical call to action element. How content elements affect regular readers can be explained better with my own personal experience of being a happy victim of FUD tactics below. 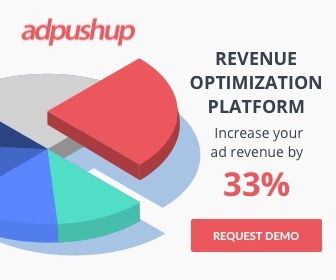 I am a marketer at AdPushup. I know I’m writing useful content but then I’m struggling with writing good quality headlines that instigate people to read the said content. I know this is a problem in the back of my mind but I overshadow it with the good feeling that I am writing relevant content which is being well received by communities. 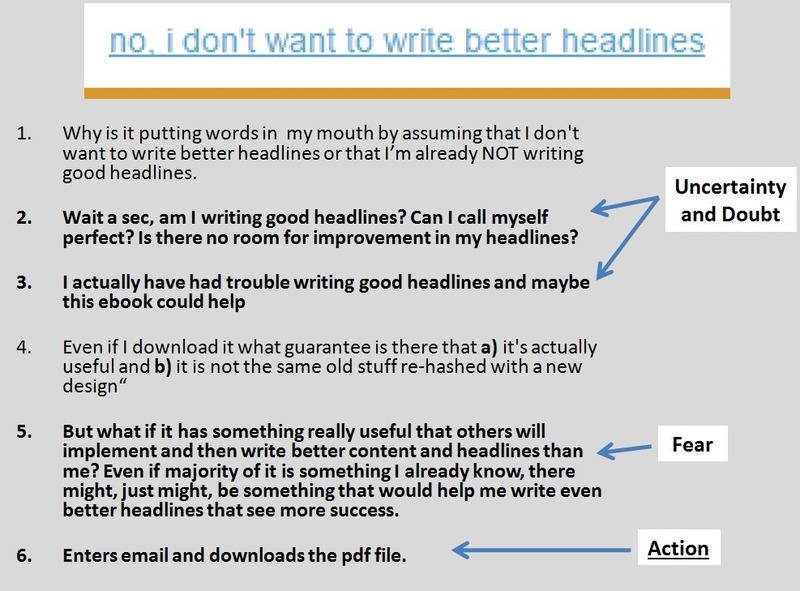 That however does not undermine the fact that writing good headlines is still a valid concern for me . Since I’ve been using the internet for so long I know that I will not solicit my interest in every pop up box that comes up asking me to take a particular action. The image was magnified for clarity which is why it is a bit blurred. Ironic, I know! The interesting part – I went through this decision making process within a fraction of a second. This fraction of a second was all that it took for them to direct me into their marketing funnel. finally, the fear of losing an advantage because of which I’ll be left behind. Subconsciously, your brain does not go to extreme lengths that you exactly think ‘… omg, this is life and death and I’ll be left behind so let’s click on the orange button which promises success‘. It just hints at ‘you’ll lose an advantage‘ which is enough to get you to take action. On an empty street, you will tend to still walk on the footpath despite the fact that the street is empty and there are no cars in sight. You push plates and silverware away from the edge of the table even though technically their chances of falling down and breaking are very low. However you want to minimize that risk which is why you unconsciously shift those plates back towards the middle of the table or away from the edge. The guys at CoSchedule were successful in introducing me into their marketing funnel. But why and when was I happy about this? When is any or all of this successful & why is this successful? This entire process is successful because of the because of the reward at the end and the feeling of satisfaction. Not just any reward but a reward which makes it worthwhile the split second mental anguish that I or anyone goes through. I use the word ‘reward’ because what you are essentially doing is building up positive anticipation towards the end result. The end result where a visitor receives something. That something is an advantage, a solution, a reward. A reward that validates that they’re concerns were genuine about having a lack of advantage. Once that advantage of the reward (in the form of your valuable offering) is obtained and its veracity checked, ‘satisfaction’ dawns. The feeling of satisfaction that validates what you (‘the value provider’) were doing was for the reader’s benefit all along. Once this emotion comes in, a visitor is guaranteed to increase their interaction with you in order to get more of this positive feeling. Melanie B. Tannenbaum, University of Illinois presented her research “Do Scare Tactics Work? A Meta-Analytic Test of Fear Appeal Theories” at the 25th APS Annual Convention in Washington, DC (2013). Her research concluded that an appeal to fear actually works as long as there is a moderator involved like ‘efficacy’ – “something that people can do to help eradicate the fear”. How do successful businesses or blogs use this? Essentially – by making a consumer’s journey of eliminating the uncertainty and doubt – emotionally charged but nevertheless short and giving a very valuable reward in the end. An over deliverance of value is what makes a reader a life long advocate or promoter of their service. Yes, they do because it gets results. Results that are beneficial to the value seeker and the value provider. Many of you reading this will have the uneasy feeling regarding FUD but ask yourself why? Is it because of the negative connotation this tactic carries with itself? Or is it because, with right set of hands and the wrong set of mind, someone can easily exploit this? I’ll leave the reasoning to yourself and reiterate that I am only describing how the psychology works. No one wants to jeopardize that by running wild experiments on their readers. I’m also aware that I’m standing right on the edge of click bait territory so I’ll address your concerns with this question – Would you consider the following clickbait? 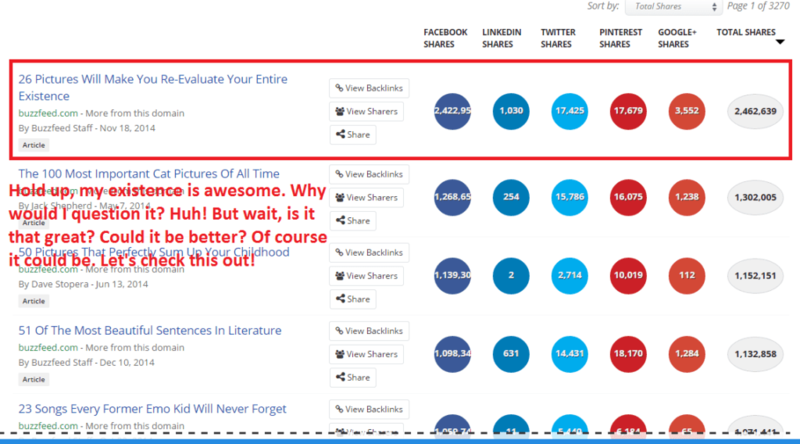 Content published by the industry thought leaders and large publishers which get more than a million pageviews per hour? Know which type of content got the most reactions on BuzzFeed in the last year? People might dislike Buzzfeed and call their headlines clickbait-like but experts are not able to deny that the content behind that headline is actually great and provides more value than promised. Results > opinions. This is the positive use of FUD and it got almost double the shares than their next best received content. FUD is not a strategy, it is a tactic. A company’s marketing strategy is a collaboration of many other tactics. Other tactics which include the appeal to positive emotions from behavioral psychology. Marketers cannot constantly keep audiences at the edge of their seats by making them feel insecure. This is not a moral but business necessity. A satisfactory reward. Since an emotional expectation was built up by triggering anxiety then the reward that emotion by a) validating it b) showing benefit. Online consumers are have access to a ton of information now. They know value when they see it so this tactic will only generate positive ROI if there is value at the end of the tunnel. Place a statement near a call to action element ( e.g. button, headline, offer) that forces the reader to question the reality of their professional or personal capabilities. This inspires them to take a favorable or corrective action, which happens to be right in front of them in the form of your offering. 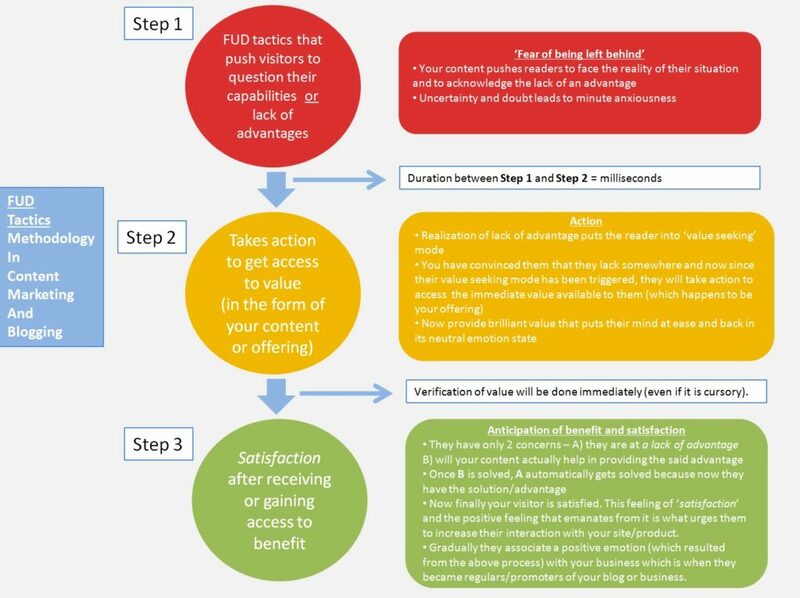 Provide brilliant value in the form of content or service. This is done because visitors will check your offering immediately to verify its usefulness and for eradicating the feeling of anxiety that you just triggered. Follow up with even more good content so that they are hooked. If you have any questions or comments, use the comments section to share them.